Thank you for the data and the bonus. I must admit I thought the data would be second rate because of your low pricing. I was wrong, thanks for all the support I have found my new data supplier! I registered for the email marketing software and was blown away at the ease of use and well rounded features. I sent my first email campaign last week and the results were better than expected and I was able to automate the entire process of openers and clickers. The support has been extraordinary and I have refered many friends. Thank you for the extra bonus on the list I ordered, your customer service girl was very friendly. 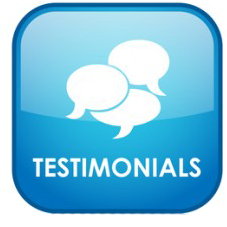 "I lost faith in email marketing based on my past experience with email marketing companies, you guys came through." I was hunting for an email list for a few days and pricing out options for a geo targeted email list to Glendale CA for business opportunity seekers. The price quote I received from OfficialEmailMarketing was almost 4x cheaper than anyone else and also provided ful records with mailing address and phone numbers. I tested the data using the Official email software and then followed up on the opens, and click through records. The results were amazing and after we use them we resell them for 10x what we paid. This is an excellent service thank you. I have been sitting on a large company email list for over a year now. I just send my first campaign last night and the results were excellent, just as promised. The lists were great and thank you again for the bonus. I will definitely order more if I see a good response from this mailing. I recently purchased a list of 5,000 and was happily surprised when I was delivered more than I paid for. I first started emailing the list through my Gmail account then quickly realized this was a bad idea. I then had most of the emails bounce back, like 500 or more. I contacted Official support and they explained that this is not an acceptable method for emailing with purchased lists. I then read on the Google website you can only email like 400 a day anywhere and if they get to many bounces or repetitive messages you will get them all returned. I was then directed to the OfficialEmailMarketing software and started sending using their system. It is working better than my ppc campaigns and I am also building some excellent data lists. All in all my experience has been very good and the support has been first class.